Gmunden 10 at the Rail Station on 11th August 1992. No. 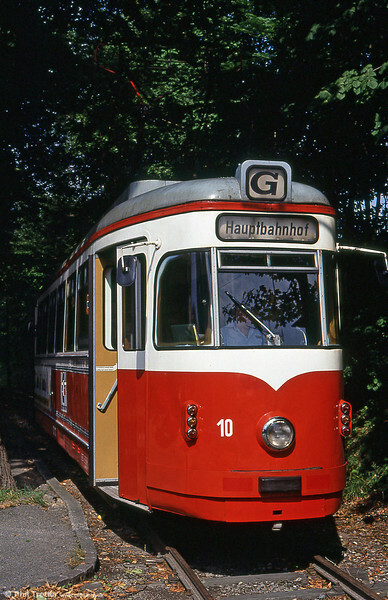 10 was built by Düwag/Kiepe in 1952.